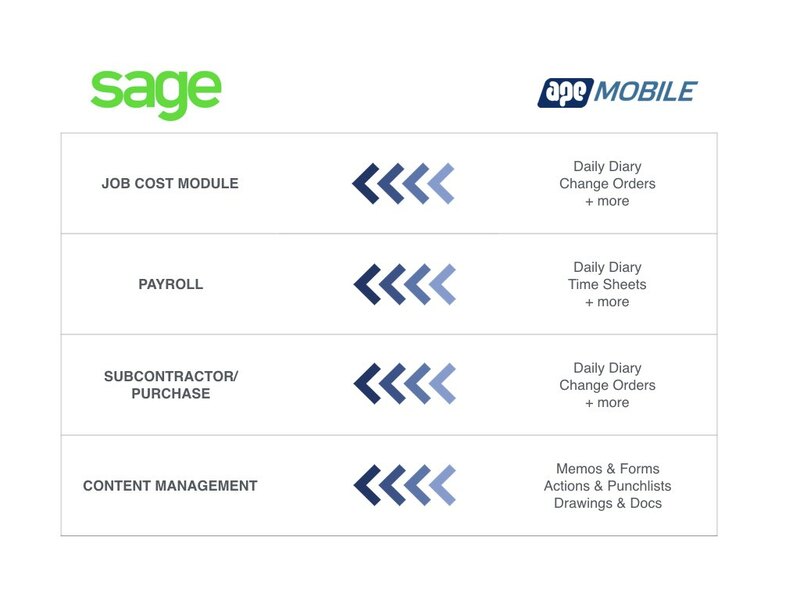 With zero data entry in the office, synchronised projects and a fully auditable system, APE Mobile enables you to access crucial site data within Sage instantly, significantly decreasing decision making time-lag by days or weeks. Sync job cost, payroll, asset usage and purchase data back to Sage. 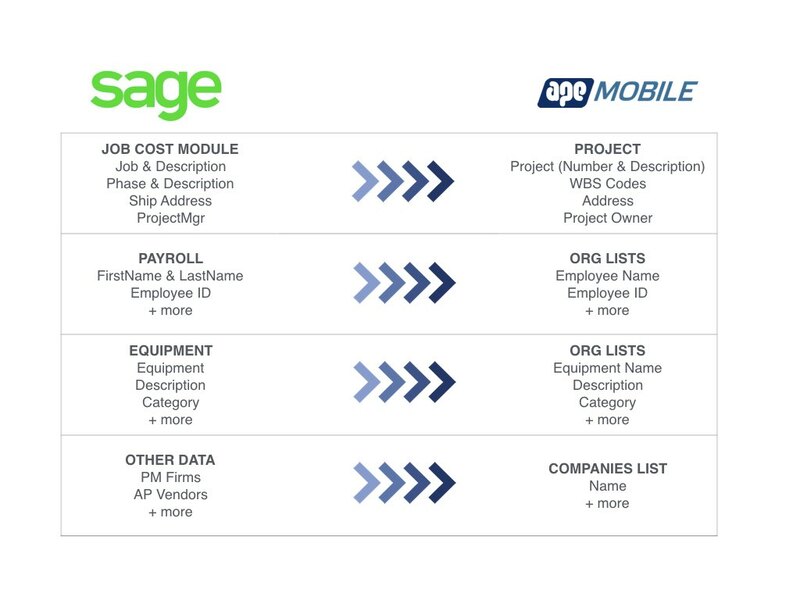 The APE Mobile integration allows a two way connection with Sage 300 Construction & Real Estate (Sage Timberline Software), instantly extending the capabilities of your Enterprise Resource Planning (ERP) software. Connect all your site paperwork, forms, drawings & data to your Sage ERP. Don't wait hours, days or weeks for your site data. 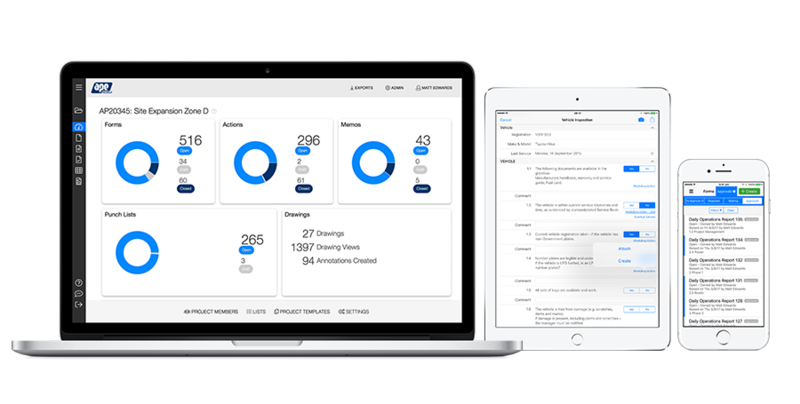 With instant sync between APE Mobile and Sage you can make decisions fast. Sage 300 Construction & Real Estate (Sage Timberline) is a complete construction management solution enabling construction companies to manage projects through all levels of an organisation, including accounting, project management, estimating & job costing. Sage 300 CRE is ideal for companies from 10 to 500 employees, from simple to complex business needs. Sage provides extensive accounting functionality, with usual accounting modules such as accounts payable and payroll, as well as construction specific capabilities including materials management, job costing and subcontractor compliance. Sage 300 CRE is used by a range of businesses including general contractors, real estate developers, home building, and speciality contractors. 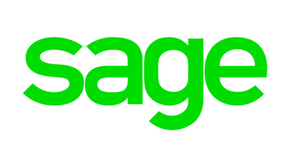 Our connection with Sage is currently in private Beta, if you’re interested in finding out more, please fill out the form or sign up for a free 14-day trial and a member of our sales team will get in contact with you.